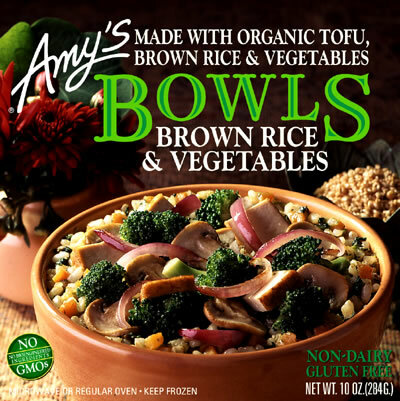 My friend Renee likes Amy's Organic meals. In fact, she eats something from Amy's nearly 4 times a week. After all, it's healthy and easy to prepare at work. 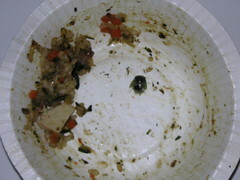 One of her favorites is the Brown Rice and Vegetable Bowl. Imagine: simple, tasty organic food in a ready-to-microwave bowl. They must have been designed by the Office Gods. She thought it was a piece of plastic or something--until she realized that it had wings. Now, in Amy's defense, bugs are, by definition, organic. 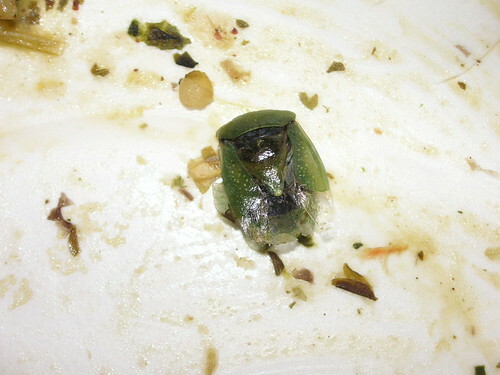 And the five minutes in the microwave oven undoubtedly sterilized it. The additional protein would have been good for her too. 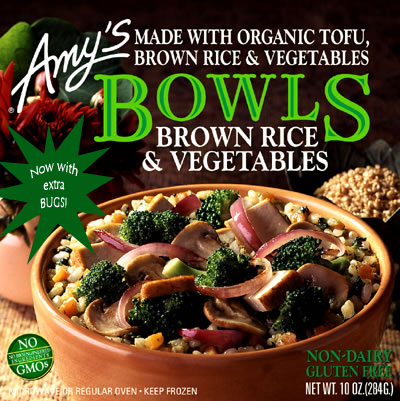 So, when you're in the mood for a truly organic, just-packed-fresh-in-the-rainforest kind of experience, go pick up an Amy's Bowl. Have you ever tried Amy's "Waterbug and Mealworm Pilaf"? Yum! that is disgusting. 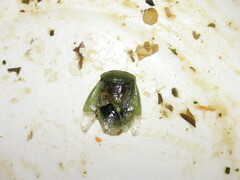 Wish I could post a pic... found a piece of a caterpillar or large larva in an amy's organic frozen entree. the company's response has been horrible. Anon, that's awful. You should post photo on Flickr or Twitpic.